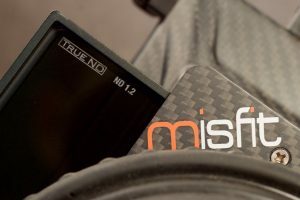 True ND filters from Mitomo offer you the best possible filtered image in this digital cinema camera era, where Neutral Density filters are essential. To maintain their optimal optical performance, the glass surfaces should always be clean. Unlike other filters that make use of a lamination technique between two panes of glass, True ND’s make use of metallic alloy film on both sides of the glass. By use of this special coating technique, fingerprints, dirt and scratches become more prominent. It’s seems to be a true art to keep these filters free from fingerprints, and other uneven spots. Hereby some quick tips to clean True ND filters on set. Save your breath, and remove loose particals with a blower or compressed air. Direct use of a microfibre cloth or a KIMTECH wipe increases the risk of scratching the surface. Try to clean the surface with a microfibre cloth without any solvent. Probably you still have trouble with greasy stains such as fingerprints (and breathing moisture), and need to use a solvent. Based on the recommendations of the manufacturer, and our own experiences we recommend you to use one of the following solvents: isopropanol or a 50:50 mixture of ethanol and methanol. Gently whipe your filter surface clean with a solvent treated KIMTECH. If necessary repeat this last step a couple of times, and voila, a clean filter, free from contaminants!